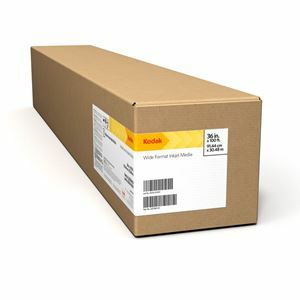 Featuring a true photographic resin-coated base paper and e-surface finish with "pulp of unsurpassed quality," KODAK PROFESSIONAL Inkjet Photo Paper gives you the freedom to print in your studio, and the KODAK PROFESSIONAL back-print seal of quality to back it up. KODAK PROFESSIONAL Inkjet Photo Paper is compatible with Noritsu, Fuji and Epson Dry Lab printers. Copyright © 2019 BMG - Kodak. Tous droits réservés.